The South Korean master has returned to his homeland for this follow-up to Okja. Early spring is a magical time of year, when the movies readying themselves for the Cannes Film Festival first test the waters with hotly anticipated trailers in advance of their world premieres. One such odds-on Competition pick is Bong Joon-ho’s latest feature Parasite, now teasing audiences before the Official Selection announcement on 18 April. The trailer comes to our global internet by way of South Korea, and hasn’t yet been translated into English. But those not-so-well-versed in the language can still glean plenty from the clip, as well as the recently unveiled poster. For one, the video’s caption describes the film as “the story of a soldier who is struggling to get up and running with his grandfather Guyu (Choi Woo-shik).” We know that Bong regular Song Kang-ho portrays the soldier, but it’s unclear how that synopsis could overlap with the previously provided summary alluding to two colliding families imbued with unspecified special powers. The images cut together in this trailer raise more questions than they answer – a gas attack, a flood, blood spattering onto a sandwich. But for the most part everyone is on their smartphones or making somber faces. The title and even the vaguest contours of the premise suggest that Bong will return to his favored ground of sci-fi for this new effort. 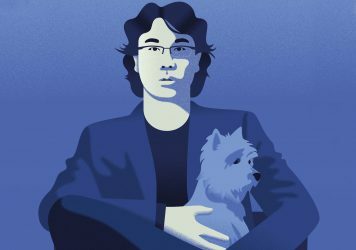 Still, it’s unclear whether he will return to the literalized creature-feature thrills of Okja and The Host, or attempt something more ambient and abstract. Take a look at the poster below, and ponder the significance of everyone’s censored eyes and the unsettling reflection of a teepee. Parasite comes to theaters in South Korea on 15 June. NEON has purchased US distribution rights for a 2019 release. 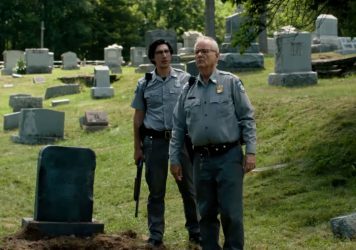 The director’s zombie-themed latest stars Adam Driver, Tilda Swinton and Bill Murray.